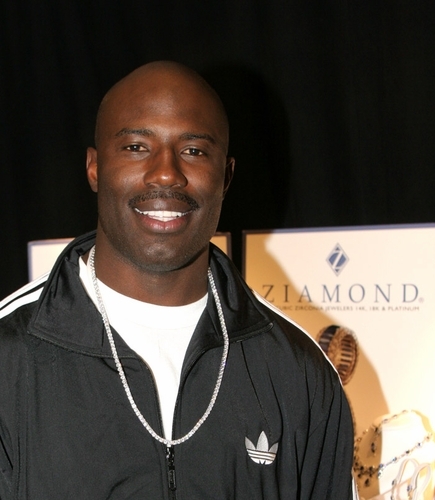 Ziamond is the place to get a Ziamond Cubic Zirconia CZ Classic Tennis Necklace as shown on by NFL great Terrell Davis. This is the Ziamond Classic Tennis Necklace http://www.ziamond.com/clastennec.html featuring .25 carat each stones set in a four prong basket setting. This necklace is also available in a .50 ct each, .75 ct. each, 1 ct each, 1.5 ct., or 2 carat each versions. This piece is a stunner and is available in various lengths as well. See item N1011 at www.ziamond.com.